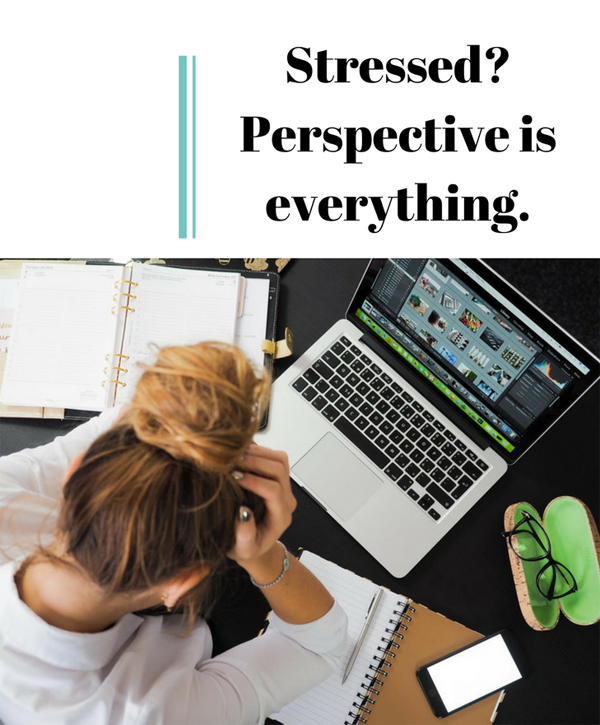 When you're stressed out, perspective really is everything. Last week was an extremely stressful week – or what I perceived to be a stressful week. The tragedy in Manhattan, combined with business and personal issues, caused me to feel overwhelmed, tense, and anxious. Not a fun time, nor is it how I normally feel day to day. I recall feeling in a similar state a couple of years ago, but something happened that helped me put all of the “stress” I was feeling into perspective. It was the spring of 2015, and a dear friend of mine announced that his healthy and vibrant brother had suddenly passed away at the age of 37. He suddenly collapsed for no apparent reason and the paramedics were unable revive him. I was so shocked by the news, but it’s amazing how something like this immediately shifts your experience. I know what I’m feeling isn’t new or really all that profound… what is profound is the moment you feel it. The moment all that perceived stress melts away and shocks your mind into accurately judging the present situation and its relative importance. I was given a harsh reminder that what I was stressing out about actually didn’t matter. Something else I witnessed around the same time also helped to remind me about the value of living your life to the fullest. I was told about a family from the U.S. traveling outside of their country for the first time. They planned on spending a relaxing and amazing time in Costa Rica. Normally I would expect (maybe unfairly) a family that had never travelled abroad before would book an all–inclusive resort, but I was impressed by the fact that they actually rented a villa. However, during their stay, instead of swimming under the stars at night, experiencing a new culture, creating great new memories, and enjoying what could have been one of the best vacations of their lives, they let a fear of the unknown take over. They locked up the entire house after the sun went down (which is at 6pm), couldn’t sleep, and couldn’t relax in one of the most beautiful countries in the world. False Evidence Appearing Real - my favourite acronym for fear - is something completely created by the mind. In these times, it's all too easy for our imaginations to manufacture awful things happening, and this particular family allowed it to ruin what could have been amazing, and perfectly safe, family vacation. It’s heartbreaking to know that so many people live their lives like this. In the light of my friend’s brother suddenly passing, it also reminded me that every day is a gift and an opportunity to use it to enhance the quality of your life and the people around you. These days, when I feel stressed, I challenge myself to look back over the past few days, few weeks, few months, few years even, and try to recall the situations that caused me REAL sorrow and pain. The next step is to sit down, get my journal out and answer a few questions that are designed to deal with what is happening. Who was I hurting at the time by being stressed out? What did I actually, really need during that time? (Because what I thought I needed, and what I actually needed, were likely very different). What can I learn from it, and what can I do to stay in check the next time it happens? If you're stuck in a fearful, stressed state, go through these questions and see how you feel after. I hope this strategy helps ease your tensions. Please let me know in the comments. If you're keen to try meditation, my new 30-day meditation series is available now!